Aging is an individual process and affects people in different ways, but some unique health conditions become more common as you grow older. Most of the health challenges faced by seniors are a result of weakened tissue or organs. Organs and tissue typically malfunction due to the loss of their cell repairing abilities. In this article, we discuss the top 5 disease conditions that are most common with seniors. This disease is very common as over 50% of seniors suffer various degrees of pain due to Arthritis (Joint Inflammation). Arthritis is a term that covers many conditions that affect the joints, muscle and their surrounding tissues. The two common types of Arthritis are Osteoarthritis and Rheumatoid Arthritis(RA). If you experience mild to severe joint pain whenever you engage in physical activity such as walking, then you may be suffering from Osteoarthritis. This is especially true when the pain occurs in a weight-bearing joint such as the knee. It results from the wearing away of cartilages, which pad and protect joint’s bone from contact friction. Rheumatoid Arthritis is an autoimmune disease which means that the body fights against its own cells. RA results when the body’s immune system fights against the cells lining the joint. It can occur at any joint. RA is usually accompanied by general unwell feelings, tiredness or fever. An extreme form of it may damage heart and blood vessels. How can you prevent Arthritis? Maintain a healthy balanced diet rich in fruits and vegetables and low in sugar and purines. Since there is no cure for Arthritis, early diagnosis and treatment are very important. Some physiotherapy interventions such as massage can also help to reduce pain in some cases. 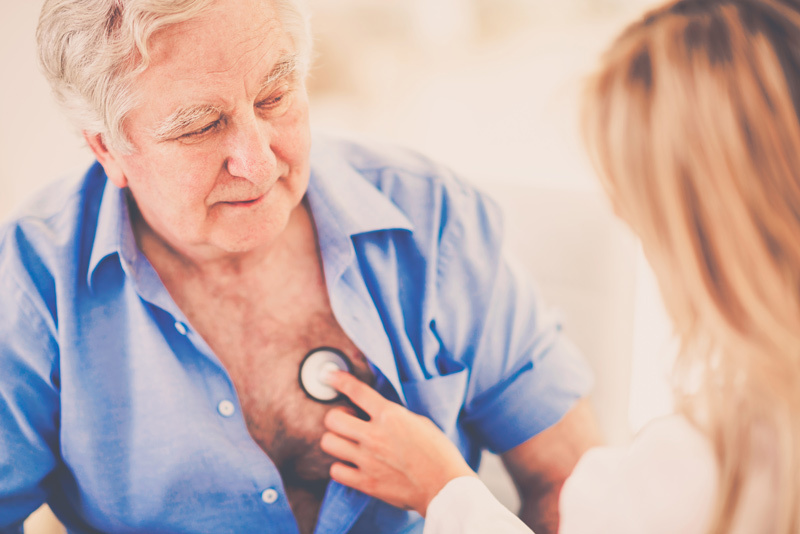 Heart disease is pervasive among seniors as over 80% of senior deaths are due to heart-related diseases. Heart disease refers to a group of diseases that affect the normal functioning of the heart with its most common form termed coronary heart disease(CAD). CAD may be associated with heart attacks, chest pain and irregular heartbeat. Growing older is a natural risk factor for heart disease. You may have heart disease if you feel like fainting, can’t catch your breath and have irregular heartbeats. You or your loved one should immediately go for proper medical diagnosis when these symptoms show up since they are also linked to other diseases. Cancer occurs when the body cannot control abnormal cell growth. The deviant cells may migrate and infect other tissues, setting up a chain reaction. People who live long enough have a higher chance of developing cancer as even slow-growing tumors begin to appear at an advanced age. Genetic changes generally occur in the body but are quickly repaired. However, this repairing ability is lost with age leading to the proliferation of cancer cells. There are many types of cancer and more than 60% of new diagnosis occurs in seniors, the risk factor being age and genetics. Many cancers don’t have unique or clear symptoms, so you have to go for regular screening based on your family history and gender. Staying away from both smoking and inhalation of second-hand smokes. Reducing your exposure to environmental carcinogens such as the common Radon. The lung is the major organ of respiration and it becomes weaker with age. It performs two primary functions; getting oxygen into your body and removing carbon dioxide. Respiratory diseases in elders can be acute or chronic. Aging weakens the diaphragm which aids in proper breathing. 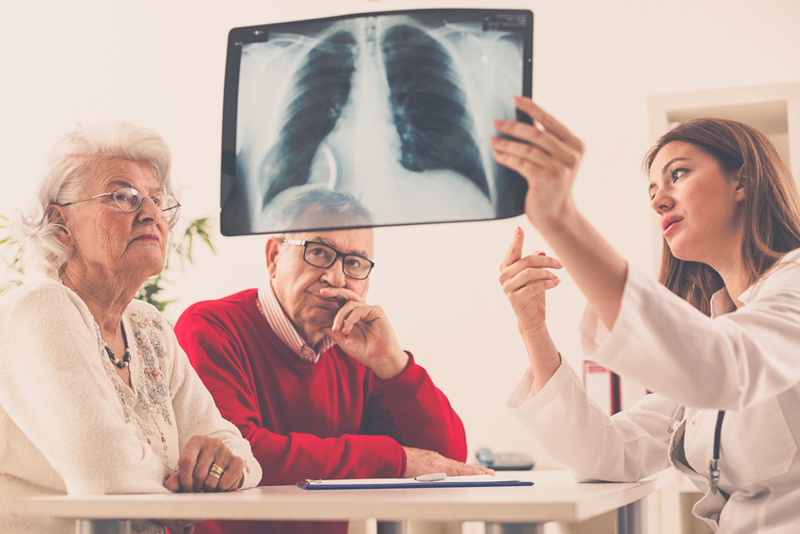 In addition, a senior’s immune system may be underperforming and is unable to fight lung and respiratory tract infections such as pneumonia and bronchitis. Coughing, wheezing, shortness of breath and difficulty breathing are some of the symptoms of respiratory diseases. How can you keep your respiratory system in good shape? It is caused by the death of brain cells. While other diseases affect one or more part of the body, this may affect a senior’s sense of self through memory loss and impairment. Alzheimer’s disease causes a gradual decline in memory and cognitive functions and often causes confusion in seniors. A definitive diagnosis requires a medical examination. Risk factors for Alzheimer include aging and family history. In addition, environmental contaminants such as heavy metals and traumatic brain injuries due to accidents have been shown to increase a senior’s risk of developing the disease. Alzheimer’s disease progression ranges from preclinical to mild and severe depending on the symptoms. What activities can help prevent and manage mental decline? Engaging in cognitive and interesting activities. Secondary effects of Alzheimer’s disease include irregular eating habits which can negatively impact the general health of seniors. Street wandering is another secondary effect which of course can cause accidents and lead to unsafe situations. You should provide a safe place for your loved one and engage the services of professional caregivers whenever needed. As life expectancy continues to rise, so will the incidence of old age diseases. There are some common patterns in the prevention of these diseases; balanced diet, avoidance of cigarette and early diagnosis. 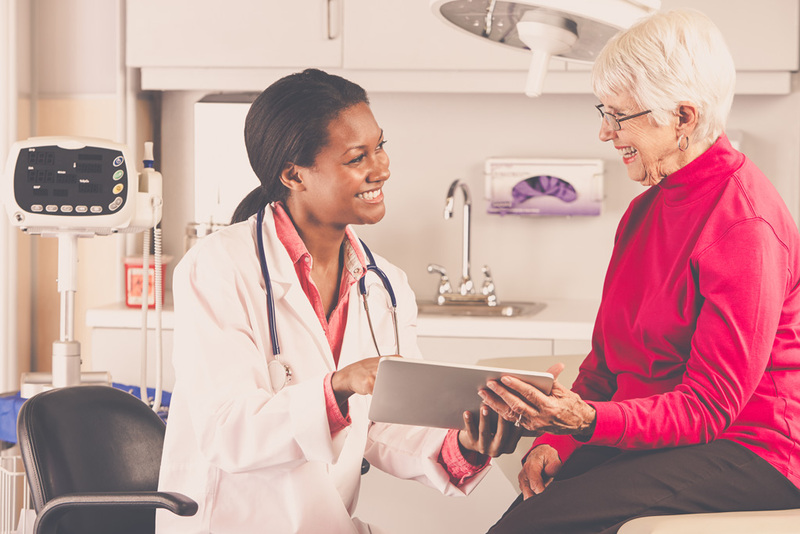 You may get regular screening as part of a comprehensive senior care program or from your personal doctor. Making lifestyle changes such as eating more natural foods and maintaining a healthy weight can help you combat and manage the onslaught of aging-related diseases and their symptoms.